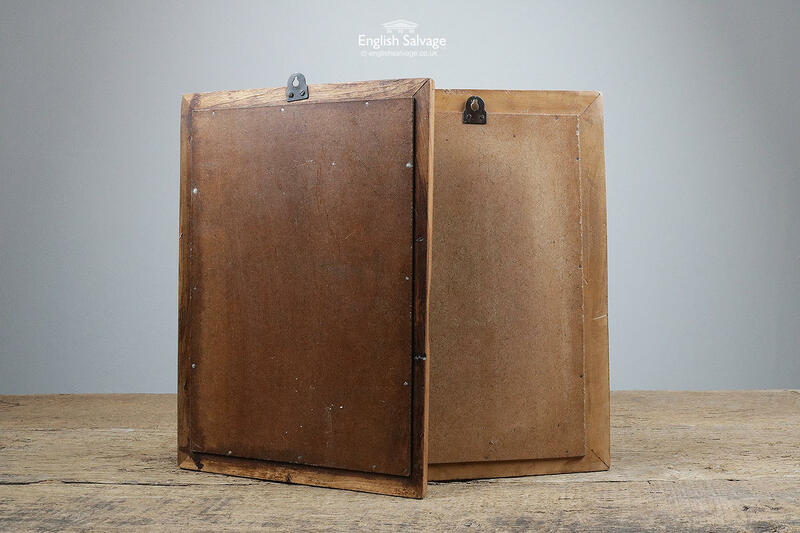 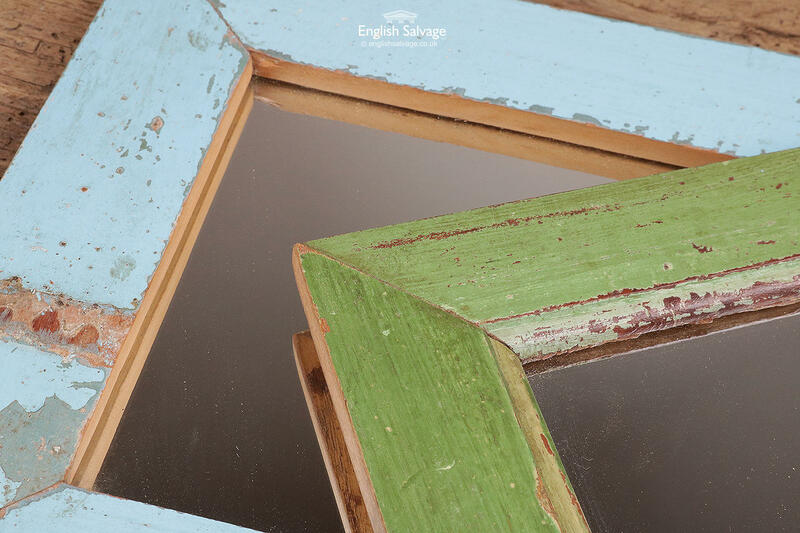 Reclaimed rectangular wooden framed mirrors. 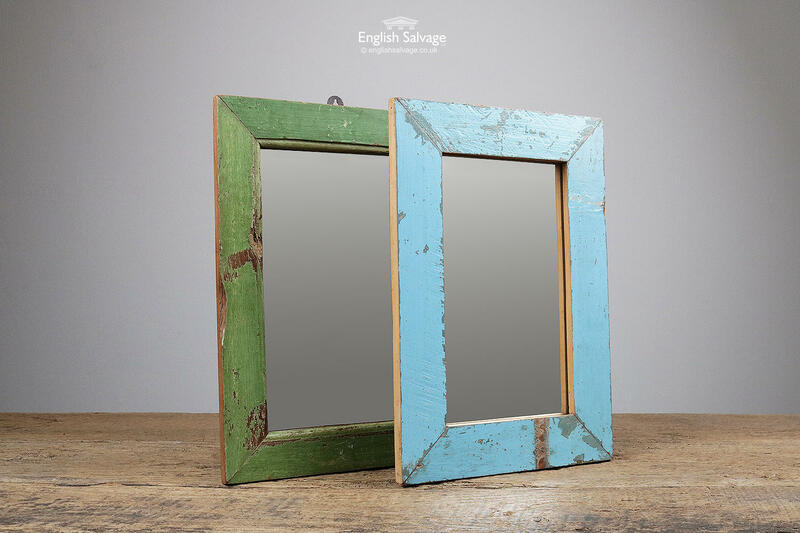 The green painted mirror (A) is 25.5cm wide x 36.4cm high x 1.2cm deep. 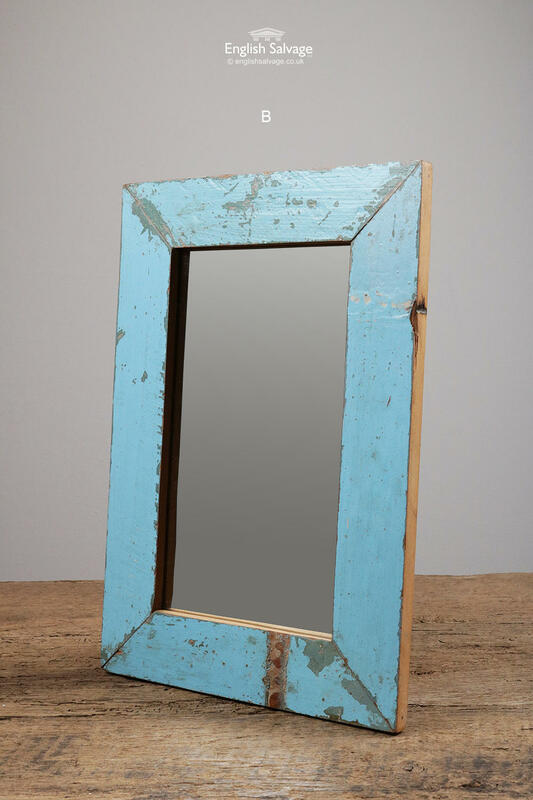 The blue painted mirror (B) is 25.2cm wide x 36.2cm high x 1.4cm deep. 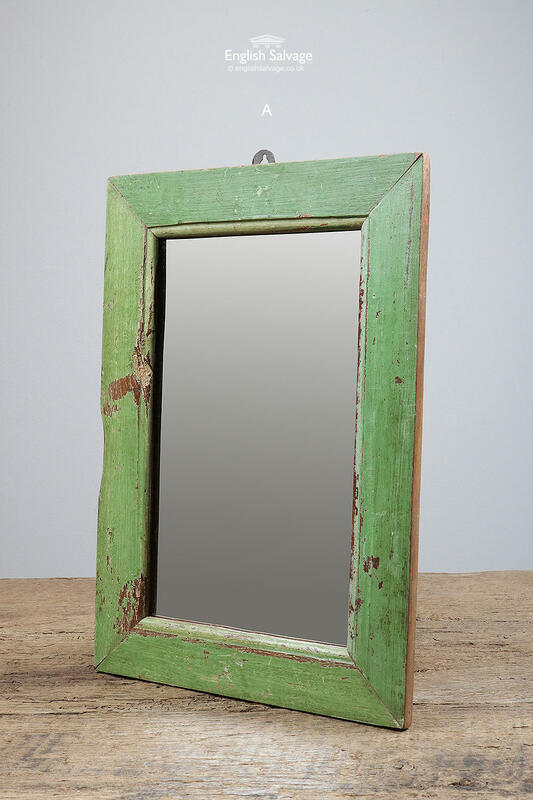 A small chunk is missing from the side of the green mirror, both have scratches, bumps and knocks.